A recent study from Harvard shows that open office space prevents employees from collaborating with each other. While the plan was promising, a study conducted by some Harvard researchers has proved that open plan kills collaboration. Connecticut Business Centers discusses the result of this study below. The study analyzed how employees in an undisclosed company interacted with each other before and after and open-plan office design. Harvard researchers, Ethan Bernstein and Stephen Turban, asked selected employees to wear a sociometric badge for three weeks. This helped the researchers to study the movement, location, posture and the conversations of every employee. Text and email messages sent between the employees were also reviewed. The outcome of the study showed that the interaction between co-workers diminished and the exchange of email and text messaging increased as the cubicles were removed. Having an actual conversation with a co-worker decreased by about 70% while the sending of emails increased by between 22-50%. The reviewers’ assessment is that the open office space triggered natural human response that they resorted through email and online messaging instead. Another result of this study is its effect on the performance of the workers. After redesigning the office space, the company’s executives reported that the productivity rate of the employees had declined. This is due to the substitution of the team members preferring to communicate via email rather than having a face-to-face conversation. Of course, there are limitations to this study. What’s right for one industry or company may not be right for all of them. 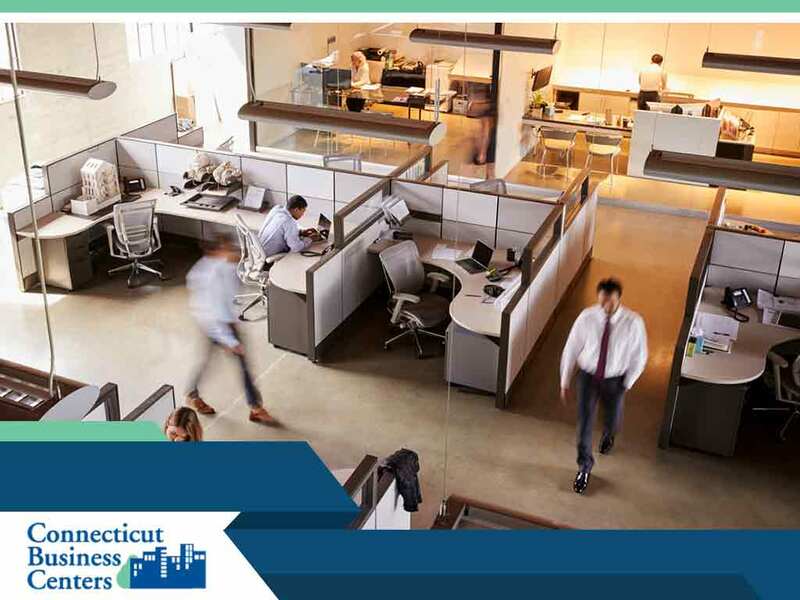 Let Connecticut Business Centers help you choose the right office design for your business. We are dedicated to providing you with the best workspace solutions. Our team can set up executive-quality desks, chairs and storage pieces as well as state-of-the-art telecommunications infrastructure. No matter what your specifications are, count on us to meet them according to your plans and budget. Our professionals are here to help you get your company up and running right away. We serve businesses in Stamford and nearby areas in Connecticut. Call us at (203) 359-5600 today for more details!